The Wedding of the Century by Sean Cunningham – History… the interesting bits! Today I would like to welcome author and historian Sean Cunningham as part of his amazing blog tour. Celebrating the release of his new biography, Prince Arthur: The Tudor King Who Never Was, Sean has written a wonderful article on the wedding of Arthur and Catherine of Aragon – just for us! The private and public lives of England’s late medieval royal families were no-doubt as fascinating to their subjects as the Windsors are to many citizens today. In a world without social and other media or mass literacy, however, popular discussion of the visibility of the fifteenth century royals is almost completely hidden from modern view. We do know from the propaganda produced by competing sides in the Wars of the Roses that public opinion mattered to the ruling elites. Since rivals for the crown were basically cousins who shared royal blood in more-or-less equal degrees, appeals to popular support were important in the search for political advantage. Records of royal progresses, visits, formal entries and days of estate stand out in civic records of towns and cities because it was rare for the ruled to see their rulers in close proximity within public spaces. For that reason, we might expect evidence of more ambitious manipulation of London’s concentrated population in spectacular set-piece events like royal marriages. It is not found in the fifteenth century. Lancastrian and Yorkist leaders seem to have shied away from public view when they took their wedding vows. Joan of Navarre was a thirty-three-year old widow when she married Henry IV at Winchester in 1403; a comforting arrangement, not necessarily to increase numbers of royal children. Henry V’s marriage to Catherine de Valois at Troyes in 1420 was a quiet soldier’s wedding, which very few English people witnessed, despite its massive political implications (or maybe because of them). Henry VI and Margaret of Anjou had a low-key ceremony at Titchfield Abbey in April 1445. Edward IV became Elizabeth Woodville’s second husband in a secret service in 1464. Richard III had married the widowed Anne Neville within Westminster Palace while he was duke of Gloucester in 1472. Henry VII’s own wedding did not occur until January 1486, despite the certainty that many of his supporters had followed him only because of his promise to marry Edward IV’s daughter, Elizabeth. It was not a state occasion, and received far less interest from heralds and chroniclers than King Henry’s first royal progress the following spring. Political circumstances, cost, and the uncertainty of factional politics and civil war account for some of these understated royal weddings. Henry VII had no such reservations about the match of his son and heir, however. The series of events surrounding the marriage of Prince Arthur and Catherine of Aragon in November 1501 were carefully planned and stage-managed for maximum public impact on an international scale. The marriage reveals a great deal of what the king, his mother and their family thought about themselves and what they wanted their subjects to remember as key messages relating to Tudor power, right, ancestry, and fitness to rule. In terms of its ambition and complexity, the marriage of Arthur and Catherine was planned as one of the greatest spectacles ever seen in England. Catherine would have a ceremonial journey from her place of landfall to London; pageants of welcome to the city and on the river would explore symbolism and allegory as well as being fantastically entertaining displays by human actors and mechanical devices; the interior of St Paul’s had been reconfigured to present the wedding service as a ceremonial royal performance; the public would enjoy a never-ending wine fountain near the west door of the church; tournaments in the rebuilt tiltyard at Westminster Palace would show off the martial skill of Henry VII’s courtiers; the wedding feast would be served on gold and silver worth as much as the crown’s annual income from taxation; lodgings within the royal palaces and other public spaces had been repaired and refreshed for over two years in preparation for a few days of occupancy; gifts, jewels and paintings were purchased from around Europe to be given away as a demonstration of the king’s magnificence. As the public face of England’s alliance with the Spanish kingdoms of Aragon and Castile the marriage was Henry VII’s single-minded statement of intent about the future of Tudor power. Henry VII could aspire to build Arthur’s future in this way because 1500-01 was the high-point of his reign. 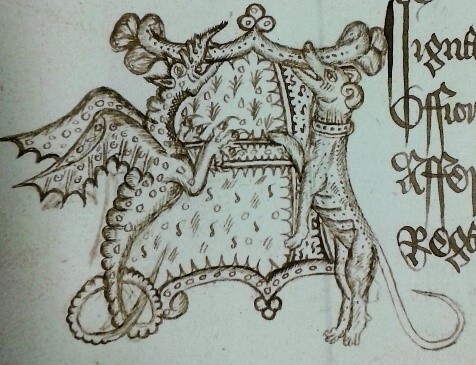 Perkin Warbeck, the pretender to the crown, who had disturbed Henry VII’s sleep for most of the 1490s, was dead. His scaffold confession in November 1499 that he was an impostor (whether forced or genuine), was meant to remove all belief that the sons of Edward IV had survived the reign of their uncle, Richard III. The earl of Warwick – son of Edward IV’s other brother, George, duke of Clarence – was beheaded in the same month as Warbeck. He was the last male Plantagenet of lineal descent from Henry II. These executions made Henry VII’s queen, Elizabeth, the sole direct heir of the House of York. Emphasising that fact strengthened Prince Arthur’s position as inheritor of her ancestry and family loyalties. By 1500, it looked like the Tudor king had finally thrown of the shackles of the Wars of the Roses. Only when England was free from these lingering threats, did the Spanish monarchs agree to start preparations to dispatch Princess Catherine in the summer of 1501. The nature of Henry VII’s reign meant that things were not stable for long. Indications soon emerged that the king’s dynastic struggles might recur. Henry’s failure to expand the ranks of his allies meant that he soon felt the effects of deaths within his circle of old friends. Two long-standing supporters, John Morton, archbishop of Canterbury and Chancellor, and John, Lord Dynham, Treasurer of England, had helped to shape Henry’s power since 1485. They died in September 1500 and January 1501 respectively. This problem would accelerate after 1502 and was magnified by other factors. More alarmingly, Edmund de la Pole, earl of Suffolk, one of the queen’s nephews, fled overseas in spring 1501. With the help of Sir James Tyrell, he was contemplating launching a claim for the crown. 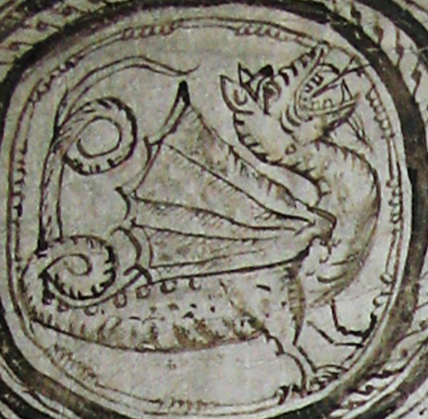 Tyrell was a rehabilitated loyalist of Richard III. His defection and the seeds of another attempt to start a pro-Yorkist conspiracy can only have filled the Tudor royal family with dread. 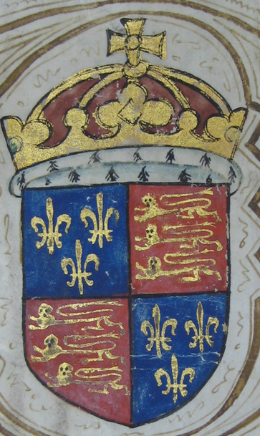 Suffolk’s departure might have been prompted by the certainty that Arthur and Catherine’s marriage would strengthen Henry VII’s power even further. Evidently he felt it was worth taking a risk to secure foreign help before that happened. Although he was persuaded to return, Suffolk soon fled again to the protection of Maximilian Habsburg, Archduke of Austria and ruler of the Low Countries. He became another pretender intent on deposing the Tudor family. King Henry moved quickly, therefore, to finalise the preparations for the wedding of his son with Princess Catherine while the political situation remained in his favour. Ferdinand and Isabella were able to exert pressure on Henry to demonstrate that England was a stable place for their daughter’s future because their nation was a rapidly-rising world power. With little prospect of recovering former lands in France, the Tudor regime in England had recognised almost as soon as it came to power that the Spanish should be wooed as a new centre of gravity in European diplomacy. In 1501, it was less than ten years since the Columbus had discovered a new world for the Spanish monarchs. Later voyagers were only just beginning to realise the potential of the Americas, but at that time the Spanish had no rivals (following the Treaty of Tordesillas with Portugal in 1494). The reconquest of Granada at the very start of 1492 also allowed a unified Spain to begin a new focus within Europe. By the end of 1494, King Ferdinand had entered the alliance against France which soon drew many European states into the Italian wars. In the years since 1489, when Henry VII had opened negotiations for a marriage alliance, it was clear that Spanish influence was under transformation. A European superpower was emerging and the English king put himself in exactly the right place at the right time to take full advantage. Catherine left Corunna on 17 August 1501. Storms and delays meant that she landed in Plymouth and not Southampton, as planned, on 2 October – a month later than expected. She therefore had to endure a far longer land journey towards London; but that did give more people the chance to see her on the road. 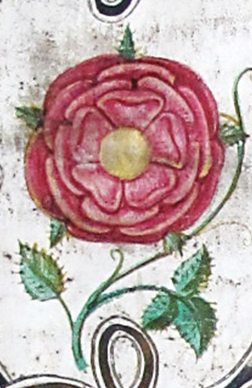 Henry VII was annoyed by the disruption this caused to his arrangements, but could do little until Catherine got nearer to his base at Richmond Palace. Records suggest that genuine excitement travelled ahead of the princess and down the road to London as she, her massive and exotic entourage, and the English nobles and gentry accompanying her crossed southern England. At the centre of all of this complex activity were two teenagers. When looking at the lavish and elaborate events that were part of the marriage, it is really important to remember that Arthur and his bride had only just met. Sixteen-year-old-Catherine had been in the country for six weeks by the time of her wedding on 14 November. She had barely paused for more than a few days after a direct journey of almost two hundred miles from Plymouth to London. This was an arranged marriage, too. Although both young people had been bred and trained for a demanding public life, nerves and perhaps shyness must still have been part of their first meetings. Language was certainly an issue – even conversational Latin was tried. Having seen England’s future queen, Henry oversaw a renewal of the couple’s marriage vows in person at Dogmersfield in Hampshire on 6 November. The king and Arthur then headed for London. 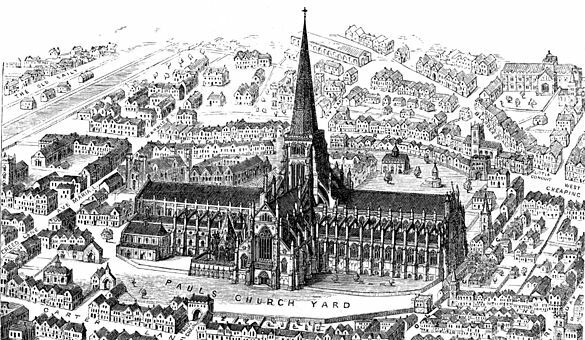 Catherine stayed in Lambeth until 12 November when she was met by Prince Henry, the duke of Buckingham and many other lords in St George’s field, south of London Bridge, for the start in earnest of her wedding festivities. The king and his council had worked with the mayor and aldermen of London for almost two years to devise and to build pageants of welcome. The first was at the south side of London Bridge. It depicted the story of St Catherine and St Ursula. Actresses playing those saints flattered Catherine’s virtue and honour as part of an astrological allegory on the constellations of Ursa Minor and Arcturus. At the other end of the bridge, a second setting contained a castle covered in Tudor badges and imagery – the Castle of Policy. Catherine was presented as the evening star whose noble presence spontaneously opened the castle gates. A third construction on Cornhill was a mechanical zodiac that placed Arthur and Catherine in heavenly proximity to God. Arthur was depicted as an ideal knight in splendour on the heraldic fourth pageant on Cheapside; while the fifth, outside the Standard Inn, was even more celestial. God’s throne and a representation of heaven presented a dazzlingly-armoured Arthur as divine Justice. At the sixth pageant, by the entrance to St Paul’s churchyard, the Seven Virtues guarded empty thrones awaiting Arthur and Catherine next to an actor representing Honour. The clear message was that honour could only be reached by virtuous living. Much of the level of detail would have had little impact upon the mass of onlookers. It was meant to be visually stunning but not necessarily understood in all of its allegorical complexity. The constant use of badges and beasts like the red rose, portcullis, red dragon, and greyhound made for a quick visual association between the spectacle and the king’s authority. Ramming home the message that Arthur and Catherine were deserving inheritors of this extravagant power was vitally important. This need continued on the wedding day itself. Arthur and Catherine were meant to be seen together. This marriage was a union of two people and an alliance of two nations. The setting of the church and orchestration of the ceremony reflected that. A raised platform built from thousands of deal planks formed a walkway that stretched along the interior of St Paul’s. Henry and Queen Elizabeth watched from a small closet so that they did not detract from the focus on the married couple. The bride and groom wore white satin. Catherine was escorted towards the altar by Arthur’s brother, Henry. Her Spanish style of verdugeo dress and highly fashionable hood were noticed by the herald’s keen eye. Before the service, a formal exchange of agreements and documents took place. They guaranteed Catherine’s status and income and firmly endorsed Ferdinand and Isabella’s alliance with Tudor England. The most notable moment in the ceremony came when Arthur and Catherine, now married, turned at the door of the choir to look back down the body of the church. It is easy to imagine their dazzling outfits and the faces of hundreds of people, who then spontaneously began to shout in celebration. Outside another strange pageant was constructed like a mobile mountain, complete with rocks, trees, herbs, fruit and metal ore. A river of wine confirmed this as the allegorical source of all the things that the king’s subjects needed. It was the riche-mont, a pun on Henry’s former title of earl of Richmond. The presence of the Christian Nine Worthies placed Henry VII and Arthur in the same category of ruler as Charlemagne, King Arthur and Godfrey de Bouillon. The magnificent wedding banquet then followed in the bishop of London’s palace. Spanish and English lords and ladies intermingled as the king’s chefs excelled themselves in inventiveness. It was also remarkable that the feast was served on magnificent silver and gilt plate while another set of dishes and jewelled chalices remained on display within the room. Henry’s proclamation of his wealth was hard to miss. The feasting and drinking lasted for most of the afternoon. In the early evening, chambers were prepared for the wedding night. What happened next (and its implications), is another part of the story and one that requires longer discussion elsewhere. Here we must leave Arthur and Catherine at the end of their exhausting wedding day. In the full glare of attention and with a weight of expectation around their shoulders, it would be no surprise if a good sleep was all that the couple managed that night. They had time on their side and in the middle of November 1501, the future for Tudor England looked to be strong and dynamic. Henry had spent a fortune in coin and energy in ensuring that the political dimension of his son’s wedding was achieved spectacularly and flawlessly. No-one could have expected that within fifteen months the regime would once again be creaking on the point of collapse as both Prince Arthur and Queen Elizabeth were dead in their tombs. The wheel of fortune had turned once again for Henry VII. How he recovered would depend on a radically different strategy to rescue control over the succession of the crown, then reliant on the survival of his only surviving son, Prince Henry. 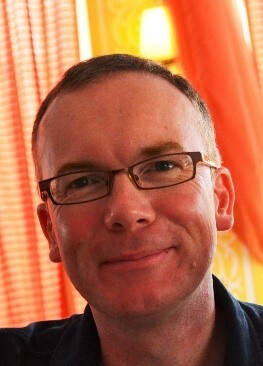 Dr Sean Cunningham, has worked at the UK National Archives for over twenty years, where he is currently Head of Medieval Records. He is the author of several works on late medieval and early Tudor history, including Henry VII in the Routledge Historical Biographies series and the newly-released Prince Arthur: The Tudor King Who Never Was, for Amberley. Sean is about to start researching for a major funded project on the private spending accounts of the royal chamber under Henry VII and Henry VIII. He is a Fellow of the Royal Historical Society and co-convenor of the Late Medieval Seminar at London’s Institute of Historical Research. 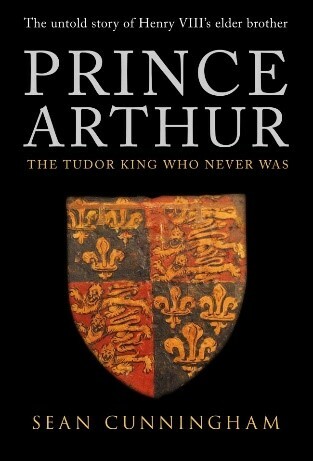 Prince Arthur: The Tudor King Who Never Was is available from Amberley, Amazon and other online outlets and bookshops. Pictures of Catherine of Aragon and Old St Paul’s are courtesy of Wikipedia, all other pictures courtesy of Sean Cunningham. Pingback: For the Sake of a Crown – the Marriage of John of Gaunt and Constance of Castile – History… the interesting bits! Pingback: Katherine Willoughby, the Puritan Duchess – History… the interesting bits! Fascinating history. 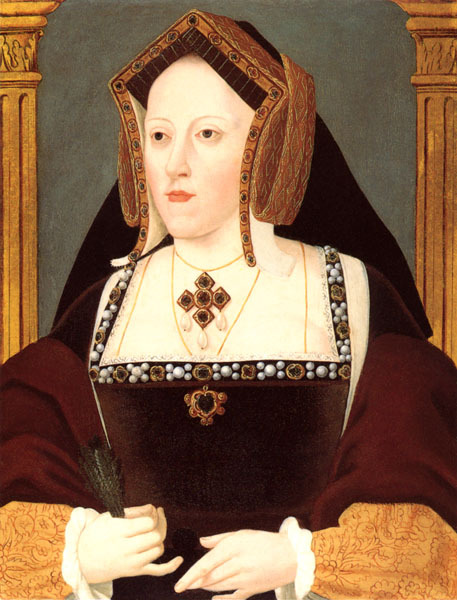 I always forget that Catherine of Aragon was originally married to Henry’s brother, prior to marrying him as Henry VIII and becoming the mother of Queen Mary. Thanks for another excellent post! I’ve always been fascinated by Prince Arthur. He’s seen as a slight shadow in the Tudor story, but deserves better. Thank you for this rich description.